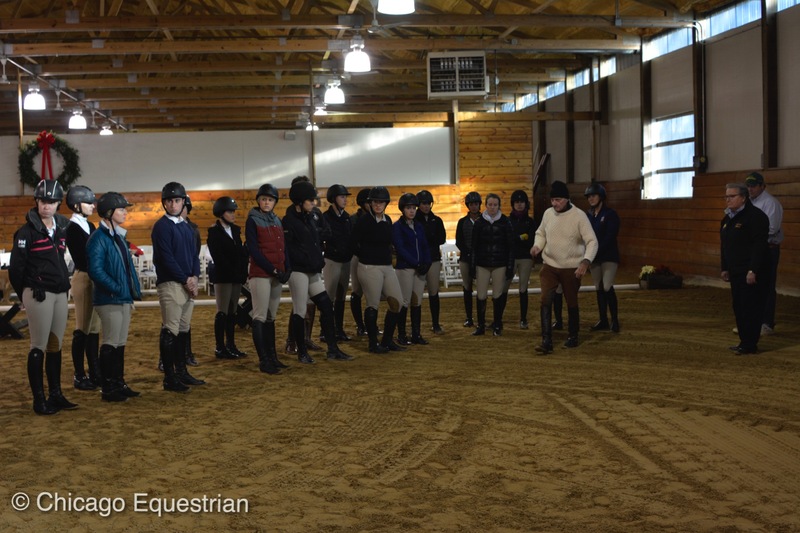 Many of the auditors, as well as the riders, come every year to continue their education with George Morris. Antioch, IL – November 28, 2017 – The 32nd annual George H. Morris Chicago Clinic at Rush Weeden’s Brookwood Farm in Antioch, Illinois, held on Thanksgiving weekend for over three decades, continues to educate horse people of all levels and disciplines seeking to improve their knowledge and skills from the world-renowned expert. Morris emphasized the importance of continuing education and the progression of learning. The three day clinic is organized by Diane Carney/Telluride, and included three groups of riders at 1.10m, 1.20m and 1.30m, a large group of auditors and long lines at the book signing for Morris’ collection of books including his recent autobiography, UNRELENTING. 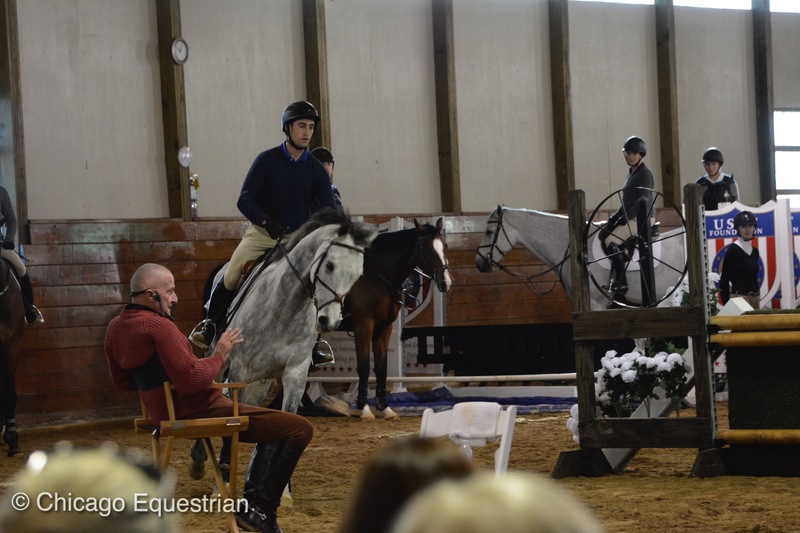 George Morris demonstrates techniques as part of the clinic experience. As usual, Morris not only discussed proper flat work but also demonstrated it during each group. 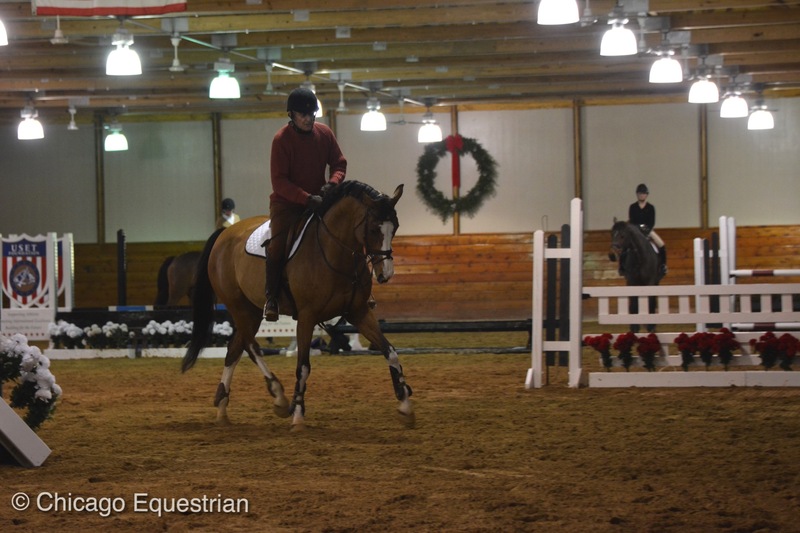 His emphasis to both auditors and riders was that education continues and there is more to share on all the same topics. Morris stated he has more to teach now than when he wrote Hunter Seat Equitation back in 1990, so he will be writing yet another book to share his extensive knowledge. His message never waivers or gives in to fads or politics and his classic training never goes out of style. Auditors watched the progression of the horses throughout the three days. "While the horses and riders were very good, it is the auditors that make the experience even greater because of their interaction with the conversation George carries with both auditors and riders," said Carney. "Many auditors came all three days and saw the progression of the horses and riders through the exercises building from day to day. Riders that come year after year continue to fine tune their skills and their horses, some have come for six or seven years, always leaving with something new to work on." "I see George frequently throughout the year and have been involved in the clinic since 1985," continued Carney, "and while I've grown accustomed to anticipate the message to some degree, I’m always pleasantly surprised by what I learn each time that makes me a better trainer and teacher. Its a continuous process which builds on previous knowledge and mileage. In the end it all boils down to the circle and shoulder-fore, and I wouldn’t have known to say that 30 years ago." Rush Weeden and Diane Carney (far right) watch every detail to make a quality clinic experience for all. "In my clinic circuit, this is a top, top clinic," said Morris. "Diane, Rush and all of his staff make this a quality clinic with excellent horses and great riders." "When you see a team like Rush's think of everything regarding all of the aspects of the clinic from the horses, to the riders to the auditors and of course George, you know they get what quality means," added Carney. "From our jumps combined to give George the selection he wants from gymnastics to the Hong Kong wall, to the footing, the heat, the food and the coffee, they cover it to every last detail. The team morale was excellent from the staff to the auditors and the riders, this was a really great clinic." "We all look forward to having George every year," said Weeden. "Even after 30 years, George always makes it interesting and demonstrates that you're never really done learning in this sport." Morris continues his clinic schedule on the west coast and to Australia. The former United States Chef d’Equipe is the author of several other books including Hunter Seat Equitation, known as ‘the bible’ of the hunt seat discipline. Morris travels the world sharing his knowledge and experience with riders and large crowds of auditors who continue to relish the opportunity to watch and learn from the master. For more information on future clinics contact Diane Carney at 847-922-6167 or dtelluride@aol.com. 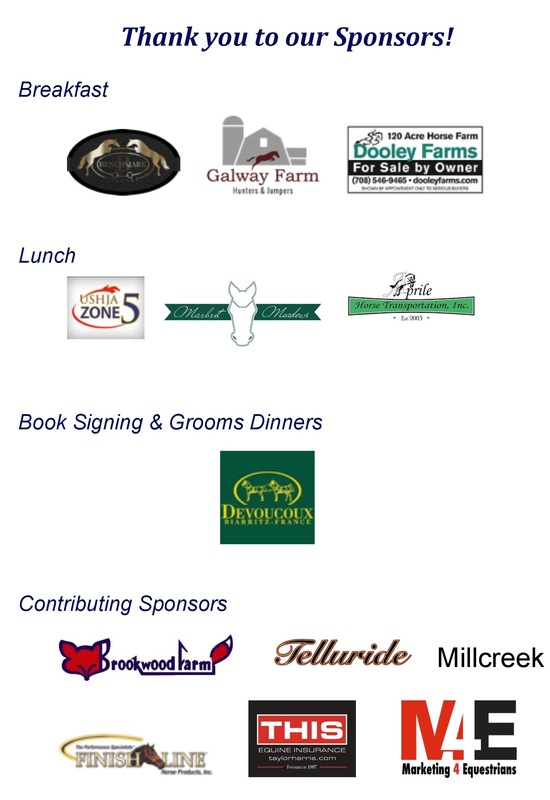 For the complete George H. Morris clinic schedule visit www.GHMclinics.com.